Viraj Bhatt got married before he got a break in movies. His wife, Saraswati Bhatt, and two sons live in a house in Bhaktapur for the last three years. His elder son is in grade 10 and the younger son is in grade 6. Following photo shows Saraswati Bhatt, Biraj Bhatt and one of their sons. 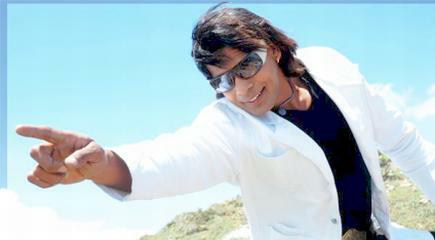 After gaining an image of action hero in Nepali movie industry Biraj started working in Bhojpuri movie as Viraj Bhatt. He is currently one of the most liked action star in Bhojpuri movie industry. These days, he is busier in Bhojpuri movies and finds less time to work in Nepali movies. But, he still has six movies in release pipeline.